Learn Spanish, explore Panama, have the time of your life! Customer Satisfaction: among most & best reviewed network of schools in Central & South America. 3 Amazing Locations: Boquete (mountains), Bocas del Toro (Caribbean beaches) and Panama City. 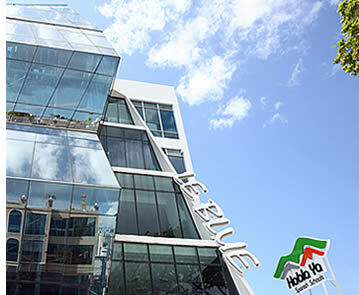 Suitable Accommodation: secure & centrally located for different budgets. 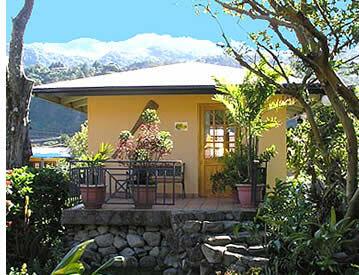 Homestays, hotels & apartments. Active Adventures: Surf, Sail, Hike, Zipline, Rafting, Rock Climb, Scuba Dive, Horse Ride, Snorkel, Caves. Social-Cultural Activities: Yoga Classes, Traditional Dinners, Parties, Salsa, Movie Nights, Road Trips. 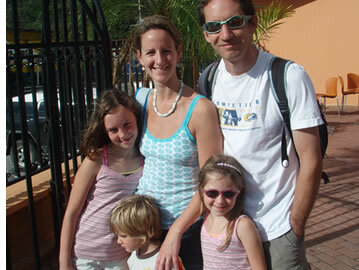 Spanish Programs: from Total Spanish Immersion Programs to Learning Holidays & Family Vacations. Volunteer: language travel with social impact! Methodology: proven method & experienced teachers. Habla Ya is Panama's premier network of Spanish schools with campuses in Boquete (Pacific mountains), Bocas del Toro (Caribbean beaches) and in Panama City. Considered amongst the top ranked Spanish training institutions in Central and South America, Habla Ya is one of the leading providers of Spanish immersion programs in Latin America. For the past decade, Habla Ya has been rated by thousands 1420 of students, with a perfect 5 star score more times than any other network of Spanish schools in Latin America. With Habla Ya you'll not only learn Spanish and meet people from all over the world: you'll LIVE a once in a lifetime experience taking back home unforgettable memories of one of the most incredible language travel vacations that you could have ever imagined! And you can also volunteer to help others while learning Spanish too! Traveling Classroom with Spanish Schools in Panama's 3 Most Exciting Destinations: Boquete, Bocas del Toro and Panama City! Habla Ya Spanish School in Boquete, a town famous amongst outdoor enthusiasts in Panama's western mountains, is part of the select group of accredited Spanish schools in Latin America by the Instituto Cervantes, the worldwide authority for teaching Spanish as a foreign language. Habla Ya Boquete Campus is also an Official DELE Examination Center in Central America. The DELE Test is the most widely internationally recognized certification that qualifies levels of competence and command of the Spanish language. 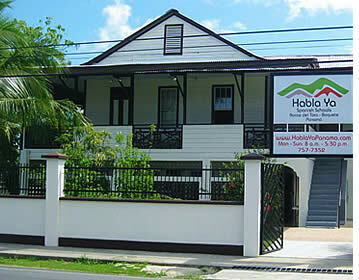 Habla Ya Spanish School in Bocas del Toro is also accredited by the Instituto Cervantes and is located in Panama's top beach town in the Caribbean. Habla Ya Bocas del Toro Campus has also been certified as an Official DELE Examination Center in Panama. Habla Ya Spanish School in Panama City completes our network of Spanish Schools in Panama, and just as with the rest of our schools, Habla Ya Panama City is also an Official DELE Examniation Center. You really can't beat Habla Ya Panama City's location, right in the heart of modern Panama City, its first class facilities, and its experienced Spanish teachers. 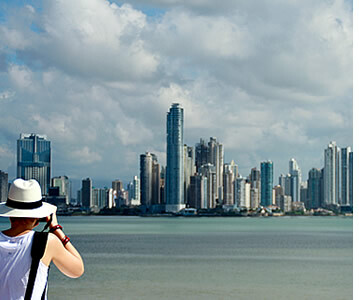 Panama City is Central America's trendiest metropolis, home to the renovated Casco Viejo neighborhood, a short subway ride away from us, and is definitely a unique capital to learn Spanish. All three Spanish schools are also recognized for Bildungsurlaub (educational leave for German citizens). Why just learn Spanish? LIVE your Spanish learning experience! Learn Spanish in 3 dream setting locations, full of friendly faces and exciting adventures. AND if you're also into making the world a better place, we can learn from each other, and do some community work together. We're into helping and doing with Permaculture and Volunteering. Join us TODAY and together let's make the world a better place too! Traveling Clasroom: Spanish students from all over the world can now learn Spanish and discover amazing Panama at its best! Travel Panama and learn Spanish in 3 locations with complete academic continuity: start your program in Panama City, Latin America's trendiest and most cosmopolitan capital, go on to study Spanish by the sea in Bocas del Toro, with Panama's most stunning beaches, and then wrap up your Spanish language vacation in the mountains of Boquete, Panama's Eco-Adventure Capital. TRAVELING CLASSROOM: Boquete and Bocas del Toro are so close to each other (less than a 4 hour commute), allowing you to perfectly study Spanish at both locations before or after your Spanish program in Panama City. You'll usually enter or leave the country through Panama City so that is where your program should end or start. How much time at each location? It's really up to you, depending on what you love more: the beach, the mountains or the city. But if you can, you really should give each a go as each destination will give you a very different flavor of Panama. It's just a matter of letting us know when you sign up and register. Not everyone wants the same Spanish course. Habla Ya Panama Spanish Schools in Central America offer different Spanish courses to suit each Spanish student's different needs. Choose a course that best meets your needs! Group 4 Course: 4 hours of group Spanish classes each day with a maximum of 6 students per classroom and the option of adding extra Private Spanish lessons. Private Spanish Lessons: any amount of hours of 1 to 1 Spanish Lessons each day. Basic Travelers Spanish Crash Course: a quick and intensive Spanish course to learn Spanish in Panama for your journey through Central and/or South America. DELE Exam Preparation Course: prepare for the DELE Test, take the DELE Exam at our schools and get your DELE Cervantes Diploma. DELE is the only official exam recognized worldwide for Spanish as a foreign language. Online Spanish Lessons: learn Spanish online via One to One Skype Spanish Lessons. Specialized Spanish Courses: Medical Spanish Classes, Business Spanish, Legal Spanish Course, Spanish for Teachers, or Spanish for any specific profession you might need. Junior Spanish: Spanish for Kids and Spanish for Teens. Other Personalized Spanish Courses: Intensive Spanish Courses, MiniGroups, Spanish Classes at Home, etc. Part Time Spanish Course for Ex-Pat Residents: if you have relocated to Panama and now live in Panama City, Boquete or Bocas del Toro, this Spanish course is for you. Besides Spanish courses, we also provide additional Spanish language services. Our schools in Panama City, Boquete and Bocas del Toro are Official DELE Examination Centers in Panama with accreditations from the Instituto Cervantes (Habla Ya Boquete and Bocas del Toro only) and we also provide official English to Spanish translations (and viceversa) and Personal Interpreters. 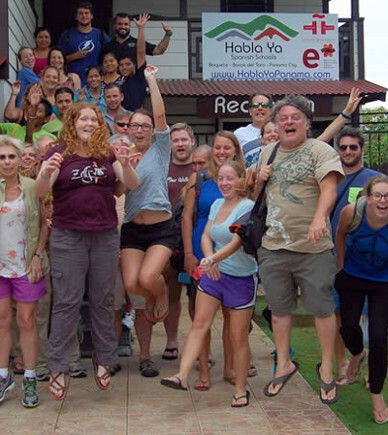 Our Spanish Courses in Boquete, Panama City and Bocas del Toro cost the same, so as long as we have availability, you can split your Spanish Program into a Traveling Classroom, spending time at all of our locations without losing any academic continuity, and taking advantage of the reduced rates that come from signing up for several weeks. Accommodation is an essential part of your study trip. We will make you feel cozy, secure and right at home. 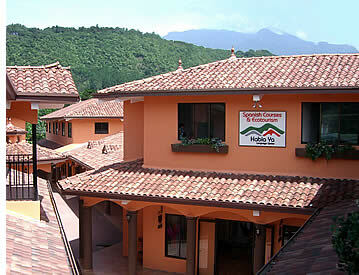 Lodging close to our Spanish Schools in Panama City, Bocas del Toro and/or Boquete will be arranged. Family Home Stays: live with a local host family in Panama during your Spanish course and experience a true Spanish Immersion into the language and Latin American culture. Budget Hostels, Mid-Range Boutique Hotels, Bed & Breakfasts and Upscale Hotels & Resorts: a selection of Bocas del Toro, Panama City and Boquete's top rated lodging options for travelers with different budgets! Vacation Rentals & Apartments: if you're seeking more independence or simply need more space and privacy during your stay, our students have access to homes, cabins, apartments, villas, condos and vacation rentals in Panama City, Boquete or Bocas del Toro, Panama. Whether you're looking for a budget hostel within walking distance to our Spanish Schools, a mid-range bed & breakfast, or a local host family that will allow you to experience the real Latin American culture and practice your Spanish 24/7, we have the ideal place for you. Or even if you're in search for a Spanish Program in Central America that will place you in a beachfront boutique hotel or a luxury resort with a swimming pool, spa facilities, a first class gym, on-site restaurants, bars and a golf course, at Habla Ya we got the perfect lodging option for you and we'll make sure that you experience the most amazing language travel vacation! We really know how important it is to have a nice place to stay. Our team of Language Travel Consultants will guide you and help you choose the best lodging option for you. Experience a Natural High in Panama! Both Boquete and Bocas del Toro offer outdoor enthusiasts literally endless possibilities. Be it the beach or the mountains (or both), Panama's top eco-adventure destinations are loaded with natural beauty, adventure and excitement! And don't miss the Panama Canal, Casco Viejo and plenty of other exciting tours in and around Panama City. Hiking, Trekking & Wildlife Expeditions, Caving and Botanical Tours: the famous Quetzals Trail, Volcan Baru Hike, Sendero El Pianista, La Artilleria, La Novia de la Montaña, Island Paths, Sea Turtle Nesting & Hatching, Jungle Hikes & Caves in Bastimentos and Isla Colon, plus more secret trails full of views, waterfalls & wildlife. Rock Climbing Tours, Courses, Bouldering, Water Solos & Rappelling in Boquete and in Gualaca. Indigenous Villages visit local communities such as Soloy in Chiriqui, Kuna Yala, and Salt Creek in Bocas del Toro to learn more about the local culture and way of life. Beach Trips, Boat Tours, Catamaran Sailing Tours, Sea Kayaking and Island Expeditions to Gamez, Paridas, Paridita, Bolaños, Las Lajas, Santa Catalina, Taboga, Contadora, Secas and Ladrones in the Pacific, San Blas, and to Dolphin Bay, Crawl Cay, Bird Island, Hospital Point, Red Frog Beach, Playa Larga, Solarte, Escudo de Veraguas, Starfish Beach (Bocas del Drago), Bluff and many more islands and beaches in Bocas del Toro in Panama's Caribbean. Scuba Diving & Snorkeling in Bocas del Toro at Crawl Cay, Hospital Point, Cayo Zapatillas, Tiger Rock and other dive sites in Panama's Caribbean, and in the Chiriqui Gulf National Marine Park and Coiba Island in the Pacific. Farming Tours to visit Boquete's coffee plantations in Alto Quiel, Jaramillo and Palmira, and to the Cacao (Chocolate) Farms in Bocas del Toro. Learning Spanish in Panama guarantees a vacation full of natural beauty, adventure, excitement and opportunities to relax. Combine a few weeks of Spanish classes starting in Panama City, the country's vibrant capital, move on to the mountains of Boquete and then continue your journey with Spanish lessons in the beaches of Bocas del Toro in Panama's Caribbean. Have a Blast After Class! Have fun! It's much easier to learn Spanish when you're having the time of your life! Free Movie Nights on WEDNESDAYS. Yoga Classes EVERY DAY OF THE WEEK (morning and afternoon schedules). Party Time on FRIDAYS and SATURDAYS! Get-Togethers starting on FRIDAYS and throughout the ENTIRE WEEKEND (parties, sport matches, poker nights, meals out, beach trips, river excursions). Free Latin Dance Classes (Salsa and Merengue lessons) on SATURDAYS. Free Conversational Sessions every SATURDAY come and practice your Spanish skills. Ecotours & Adventure Excursions on EVERY DAY OF THE WEEK you can surf, hike, rock climb, raft, kayak, island and beach hop, go caving, cycling, tour a coffee or chocolate farm plantation, snorkel, scuba dive, horseback, bird watch, zipline, take a dip into natural hot springs, look for turtles nesting or hatching, and much, much more... come and discover Boquete, Panama's eco-adventure capital, Panama City, Latin America's trendiest capital, and Bocas del Toro, Panama's hottest beach destination in the Caribbean! Panama Road Trips once or twice a month we leave Boquete, Panama City and Bocas del Toro for a night or two and together we travel & explore fascinating Panama! Not everything is about studying Spanish. If you want to learn more about the Panamanian culture, socialize, dance, party, relax or just have fun, join our cultural and social activities after classes. Besides your Spanish Course, we can take care of everything else! From suitable accommodation and after-class social/cultural activities, to eco-adventure tours, volunteering and in-country transportation: we will put together the perfect language travel holiday for you! Active Spanish Immersion Vacations: including but not limited to Spanish & Surf, Spanish & Scuba Diving, Spanish & Yoga, and Spanish & Rock Climbing. 4 - 6 hours of classes per day, a wide selection of great accommodation options, cultural & social activities and eco-adventure tours for an amazing Spanish language learning holiday. Volunteer and Learn Spanish Program: learn Spanish and volunteer to make the difference... for a fulfilling and meaningful holiday! Learn Spanish & Permaculture Program: learn Permaculture and Spanish while making our communities a better home for everyone. Family Language Vacation Program: a Spanish course for each family member plus lodging and other extra curricular activities for a truly memorable and rewarding family holiday! Medical Spanish Immersion Programs: medical Spanish classes according to your specific medical profession plus suitable accommodation, a medical internship, cultural/social activities and eco-adventure tours. Spanish Language Programs for High School, College and University Groups Traveling Abroad: we are the perfect partner to plan, organize and carry out the ultimate language program for your school trip abroad. We are experts helping you with: airport pickups, in-country transportation logistics, accommodation and Spanish lessons, ecotourism & adventure tours, volunteering projects and so much more! Spanish Exchange Program for Teenagers: language exchange programs for teens from 13 - 17 years old. A truly unique experience! Spanish for Kids: special language learning programs for children 4 - 12 years old to give them a head start in life! In search of an intensive yet flexible Spanish learning program in Central or South America? Do you want to know what a Total Spanish Immersion in Latin America feels like by living with a local host family? Looking forward to experiencing Panama's Eco-Adventure Tours? Planning the perfect Family Language Vacation in Central America? Looking for the ideal Spanish Program for Kids or an Exchange Program for Teenagers in Latin America? Or simply want a VIP Language Program? Setting up a Spanish Program for a Group of High School, College or University Students in Central or South America? Want to Learn Spanish & Volunteer? Let us take care of your Spanish Program in Latin America: Habla Ya Spanish Schools will make it happen! We don't want you to just know Spanish: we want you to use it! Proven & effective teaching method that develops student's communicative skills. Level system & syllabus built under the guidelines of the Common European Framework of Reference for Languages and approved by the Instituto Cervantes. Spanish classes conducted entirely in Spanish to get students speaking Spanish from the first moment. You not only learn Spanish... from day one you use it! Lesson planning based on student's specific needs and diverse learning styles. Skill integration with special emphasis on oral expression & listening comprehension. Interactive method that takes into account the cognitive process of language learning and brings real life situations to the classroom through tasks and activities. 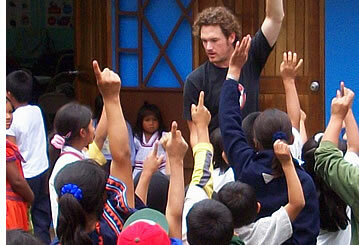 All of our teachers have Spanish teaching or language related college/university degrees. At Habla Ya you learn easier and quicker than at any other Spanish school in Central America: with better results and with more fun, just how it should be! Check out what students have to say about their Habla Ya experience! Immerse yourself in stunning Panama and experience Latin America's culture! Contact us! It's all about the experience! If you're serious about learning Spanish but also want to have the time of your life then come and join Habla Ya Panama Spanish Schools and live the most amazing Spanish learning experience! Choose from any of the Spanish Courses offered at Panama's premier network of Spanish Schools located in three of Central America's most exciting destinations: Boquete, Panama's eco-adventure travel capital, Bocas del Toro, Panama's top beach destination in the Caribbean, and Panama City, Latin America's most cosmopolitan metropolis. And as we say... Learn Fast, Speak Now, Habla Ya! 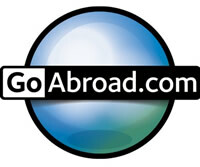 Panama's #1 Rated Spanish Program is Now Offered at 3 Amazing Destinations! Now you can study Spanish at Panama's most and best reviewed network of Spanish schools, in Panama City, Bocas del Toro, and in Boquete! The valley of Boquete, Panama's Eco-Adventure Capital, is located in the southwestern highlands of Panama at 1,200 meters above the sea level. Nestled in the country's most mountainous region, surrounded by untouched tropical cloud forests, this charming town is situated between the Caldera River and the Baru Volcano. On the other hand, the paradisaical islands of Bocas del Toro's archipelago, Panama's top beach destination, are located in the country's northwest Caribbean waters only a 45 minute flight from Panama City, or a 3 hour drive and 30 minute boat ride from Boquete. Secluded golden and white-sand beaches surrounded by crystal clear turquoise waters await you. Meanwhile Panama City, Central America's trendiest capital, is located in the center of the country surrounded by dense tropical jungle and flanked to the South by the Pacific Ocean. Famous for its enchanting Old City Quarters (Casco Viejo), multicultural vibe and pulsating nightlife, you can reach Panama City with direct flights from over 15 cities in the USA, 7 in Canada, 6 European cities and almost every single major city in Latin America. Start your Spanish learning vacation in Panama City. Here you'll get to experience a truly international metropolis that serves as a crossroads for people from all over the world. Hundreds of years of colonial past can be felt through its labyrinth of streets which make a rich contrast with all its modern attractions. El Cangrejo and Obarrio are the perfect areas to walk and get lost in the urbanized pulsating chaos, with people, shops and restaurants from every corner of the globe. High-rise condos, casinos, wild bars and the posh nightclubs of Calle Uruguay complement the scene and The Cinta Costera, the newest pedestrian area by the coast, is the perfect getaway for a mellower afternoon. Don't miss the Casco Viejo, the city's historic district and all its charming architecture, plazas and churches, juxtaposed with a unique blend of renovated buildings where you'll encounter the most fashionable restaurants and bars. The Amador Causeway, linking four small islands in the city's bay, offers breathtaking views to the most spectacular skyline and is home to the Museum of Biodiversity, by renowned architecture Frank Gehry, which will help you understand and appreciate Panama's natural beauty as it tells the story of how the isthmus rose from the sea, uniting two continents and changing life on Earth forever. Soberania National Park, which borders the throbbing capital, is one of the most accessible places in Central America for wildlife observation and is a great introduction to tropical jungles and rainforests. Your trip to Panama City won't be complete without a tour to the Panama Canal and the ruins of Panama La Vieja, the city's first settlement destroyed by pirates several centuries ago. And make sure to not leave the country without some serious shopping at one of the city's malls where you'll find brands of exclusive clothing and electronic goods from all over the world at great prices. Then take your Spanish Program to Boquete's mountains: you name it, Boquete has it! For extreme adrenaline, White Water River Rafting in the Chiriqui Viejo. For coffee lovers, Coffee Tours to coffee plantations and processing farms in Palmira, Palo Alto and Alto Quiel. 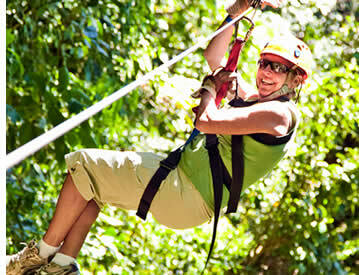 To admire the beauty of the tropical cloud forest, Zip Line Canopy Tours in Palo Alto. For a challenging trek and a chance to view the both oceans from Panama's highest point, Hike and Camp to the top of the Baru Volcano. 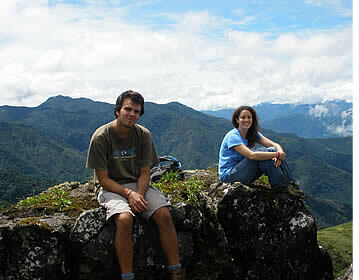 For the most incredible hike, complete the Quetzals' Trail footpath from Cerro Punta to Boquete. For a relaxing afternoon, the Caldera Hot Springs. For the western type, Horseback Riding through Caldera's valleys. To admire nature's abundance, Bird Watching Tours. For extreme sports enthusiasts, Rock Climbing & Rappelling at Los Ladrillos in Bajo Mono. During the weekend Boat Trips & Island Hopping Tours can be arranged to Bolaños or Gamez Islands in the Chiriqui Gulf National Marine Park. Some of Panama's best surfing is just a couple of hours away in the world famous town of Santa Catalina and the most amazing scuba diving spots are found at Isla Coiba which is also in the Chiriqui Gulf. Fancy even more beach and sun? Continue studying Spanish in Bocas del Toro where you'll be able to experience first class scuba diving, and some pretty wicked surfing! And many other water sports are just a short boat ride away. Take a day tour and sail by catamaran to Dolphin Bay and snorkel in Crawl Cay. Or cross the island and chill at Starfish Beach and then head towards Swan's Cay and Bird's Island. Spend the day jungle trekking or cycling by postcard perfect shores full of coconuts and palm trees, be it at Bluff Beach or Bastimentos' Playa Larga. Zipline in Red Frog's Sky Canopy Tour. Explore the rainforest and bump into sloths, howler monkeys and discover a hidden cave full of bats... Private boutique hotels built on stilts over emerald waters and a vibrant island town nightlife that seduces all. Be it Bocas Town on Isla Colon, Carenero, Bastimentos or the wildlife-rich wetlands at Humedal de San-San Pond Sak where you can find manatees, Panama's top Caribbean destination has a chilled vibe and a laid back atmosphere that will certainly make you want to stay... forever! It's also good to know that both Boquete and Bocas del Toro have a wonderful sense of community, as does the neighborhood which is home to our school in Panama City, which gives you the opportunity to practice your Spanish and interact with the local culture in an ideal setting allowing you to become part of a very special place. On the other hand it doesn't hurt that virtually everything around our schools is within walking distance, so wherever you decide to stay, your language travel holiday in Latin America will be highly convenient and straightforward: no risk of wasting your time on daily commutes all over the place. Boquete, known as the best coffee producer in the world, enjoys a sunny Spring mountain climate, comfortable all year around, considered nearly perfect, with temperatures ranging between 60° to 80° F (16° - 28° C). Thanks to its 1200 meters (3,600-foot) elevation, the area's microclimates deduct 10 crucial degrees (Celsius) from the incessant and humid lowland heat allowing you to have Spanish classes in a fresher environment if you can't deal with hotter climates. Bocas del Toro's weather on the other hand is definitely warmer as you would expect from any beach destination in Central America, with temperatures ranging from 70° to 90° F (20° - 32° C). But there is no need to worry about suffering from the heat during your Spanish classes as every classroom at Habla Ya Spanish School Campus Bocas del Toro has air conditioning. Panama City is also located at sea level with temperatures ranging from 70° to 96° F (20° - 35° C), and benefits from having most indoor places with AC. Our Spanish school in Panama City is no exception and every classroom at our Campus in Panama City also has air conditioning. All our three destinations are safe, beautiful, inexpensive and exciting. Boquete, the "Valley of the Flowers and the Eternal Spring", is home to 22,000 inhabitants whose cultural roots can be traced to Native Indians, Spaniards, Europeans and North Americans, among other ethnicities. Its first settlers came from other areas of Panama, as well as other countries such as Switzerland, Sweden, Germany and North America. All give shape to the cultural melting pot that Boquete is today. Most farms and houses still have architectural styles that are reminiscent of these other countries. On the sheer mountains that surround the valley live the Ngöbe Bugles, an indigenous ethnic group who are highly skilled artisans, famous for their colorful chaquiras (beaded necklaces) and "nahuas", traditional dresses. The Bocas del Toro Archipelago is home to about 17,000 residents. The population of Bocas del Toro is an interesting mix of descendants from Jamaican and French Antilles' blacks, members of at least four of Panama's seven Indian groups, many people of mixed indigenous and Spanish ancestry, North Americans and even Colombians. During the 17th century, the archipelago became a haven for pirates. During the 19th century many blacks established themselves in the islands when slavery was abolished and in the early 20th century many newcomers came because of the banana plantations. Panama City is the southern entrance to the Panama Canal and has a population of around 1 million people. It's an important banking hub and is the location of Tocumen Airport (PTY), the busiest airport in Central America. Panama City has always been a place of transit and its inhabitants reflect a mixture of people from all over the world. There are a large number of Afro-Panamanians, Mestizos (European and Native American descent), Mulattos (mix of black and white) and a significant minority of whites and Asian. Be it a mountain town full of adventure and natural beauty, a pristine archipelago in Panama's Caribbean, or a bustling cosmopolitan city... or all three of them, Habla Ya Spanish Schools have the perfect language study location for you!